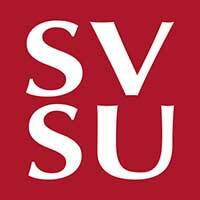 SVSU's economics degree empowers students to defy expectations and encourage exploration that defies borders. With a dedicated faculty and exceptional business networks - built in part by exceptional alumni now helping their alma mater's students - students studying economics begin college with an immediate advantage. Faculty focus on quality teaching and training students to participate in data-driven, hands-on research projects sure to catch the eye of postgraduate admissions representatives and employers alike. A first-generation college student, Jenni Putz graduated in May 2017, capping off a list of accomplishments that included a research portfolio that rivals many doctoral students. One of those projects involved her experience in India, where she researched the benefits of short-term study abroad programs with Kaustav Misra, SVSU associate professor of economics. The trip represented her first time flying, and the experience helped her grow figurative wings of her own. After finishing her next research project, she flew to Washington, D.C. to present on her study. Her work earned her admissions to a Ph.D. program in economics at the University of Oregon, where she spread her wings further. The economics program has an excellent success rate in placing graduates in postgraduate programs at prestigious institutions across the world. Students are members of world-renowned economics-based organizations including Omicron Delta Epsilon as well as the International Economics Honor Society and Economics Club. Partnerships such as these can offer career development opportunities that allow students to connect with like-minded professionals in the industry. Research performed within the program has led to students being published in scholarly journals and invited to present at international conferences. Students enrolled in economics soar beyond the confines of campus during Study Abroad opportunities in countries including India, China and nations across Africa and Europe. Those trips abroad also involve attending international conferences, where students have been invited to present on research pursued in the economics program. On campus students gain access to business fraternities, honor societies and professional associations that start connecting them to potential employers and contacts before they graduate. Graduates of the economics program have opportunities in a variety of exciting, engaging industries. Our alumni thrive as educators, teaching students from kindergarten to college; as industrial researchers, applying lessons they learned at SVSU to projects at global industries; as data analysts, helping corporate trailblazers identify new trends in consumer behavior; as insurance agents, aiding families and individuals in their time of need; and as politicians, using their knowledge in numbers to benefit constituents.